Understanding Your Leaders Impact: What influence are they having in your organisation? What impact are your senior executives having on their people, teams and organisations? Are the leadership strategies being used driving constructive behaviours? Remain constructive and self-aware around their influence over the wider organisation. Align and commit to core principles and behaviours. Enable their staff to fully utilise their skills and abilities at work. Understand how to facilitate a constructive work environment through the development of constructive leaders. The strategies leaders employ with their people and teams have either a Defensive or Constructive impact. To develop Constructive cultures, people respond best when there is modelling around how things should be done and by receiving positive reinforcement and direction to channel their efforts. 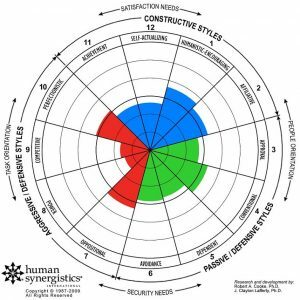 The Human Synergistics suite of tools allow you to measure and improve your culture in an evidence-based approach. This breakfast conversation will provide a brief analysis of what the Human Synergistics Life Styles Inventory (LSI) and Leadership Impact (LI) tools measure and when you would use each of them as development tools for your leaders. Explain the difference between understanding leadership behaviours and leadership impact. Why is this important to know and how does this benefit your leaders and organisation? Outline the outcomes of constructive leadership and the application of composite data to Executive Teams. Outline Leadership Strategies for a Constructive Impact. Provide an overview of Measuring leadership impact using the Leadership Impact (LI) tool. If you are looking for insights around how you can measure whether your senior executives and executive teams are having a constructive impact on the people around them, you will really enjoy this session. This session will also be very valuable to HR leaders and Human Synergistics accredited practitioners.